Click the dropdown at the top of the page and select Create Project. A new box will pop open where you can enter your project name. You may enter whatever you like. 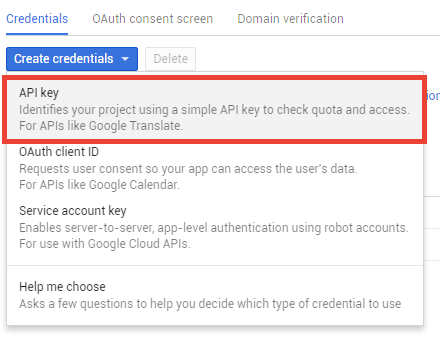 Google will automatically generate a project ID for you, but you may customize it if you like. Click the button to Create. You will then see a progress bar pop up as Google creates your project. Wait until it's done and then the page will refresh. When you get to the new page, find the sidebar on the left, and click on Library. 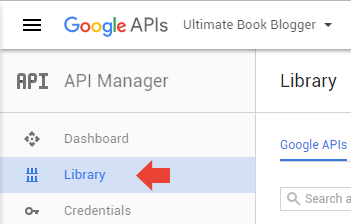 In the search box, search for books to find the Books API. Click that to be taken to the Books API page. On the new page, click the blue button to Enable. Once it's enabled, return to the sidebar and click on Credentials (this is under the "Library" menu from before). On the new page, click the blue button to Create Credentials and select "API Key". Then your API key will be created! 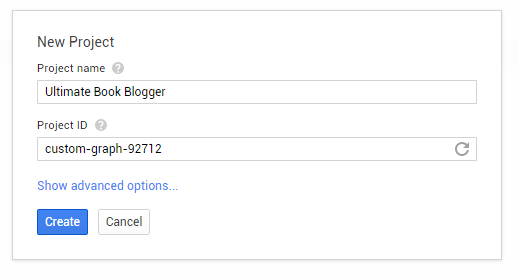 Copy the value after Your API key and paste that into the Ultimate Book Blogger settings panel.